How Can You Tell It’s An Emotional Affair? Men and women have innocent relationships outside their marriage. They eat lunch with one another in the break room. They interact personally, and they even talk on the phone every day as part of business relationships. Just because a woman talks to a man, there is not necessarily something going on. However, many emotional and physical affairs begin this way. How can you tell you are on the verge, or already deeply immersed in, an emotional affair? If you answer yes to any of these questions (or if you have the least bit of hesitation), you may be in danger. Could you tell your spouse about your conversations without hiding any facts? Could your spouse be in the room as a non-participant or participant in your conversation? Do you call him/her when you are alone? Do you delete his/her text messages regularly? Is your relationship seriously based on anything other than business? How can you stay out of an emotional affair? Watch for the above signals. Tell your spouse of anyone you feel is making advances towards you. Always keep conversation on business matters or on the surface regarding personal issues. Don’t say anything or do anything that should be reserved for your spouse. Affairs can start anywhere, not just work. If you have a relationship with a person and you must make an effort to see them. Stop kidding yourself. It’s an affair. 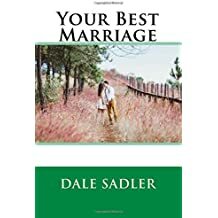 You CAN have a great marriage. Learn the secrets to loving well. Previous Article Is Advocare A Crash Diet? Next Article “But I’m hungry all the time.” Not with Advocare.